Hand-assembled in their Vancouver facility, Momentum Watches have been one of Canada’s best kept secrets. 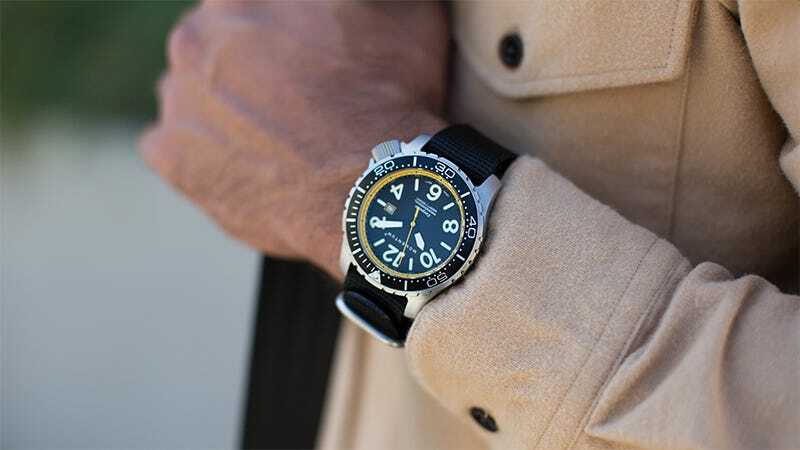 Featuring super tough frames and functional engineering, these robust watches have been praised by customers and publishers as ideal travel and diver watches. Starting at $70, grab your Momentum Watch for up to 30% off on Huckberry.